Every New Moon and every Full Moon, we all participate in a Peace & Healing Meditation on an International level. The Meditation lasts for 20 minutes (more if you so desire). 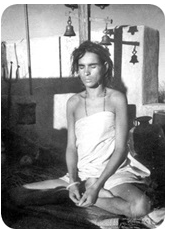 During these twenty minutes, the procedure is to tune into the website healing page, meditate on the photo, invoke Babaji's name, and chant "Om Namah Shivaya." 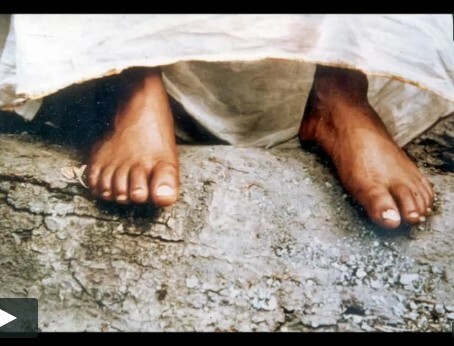 Those who cannot log on may use any picture of Babaji as long as there is the flame of a candle or oil lamp nearby and as long as this is done during the given time. Time: 10:08 p.m. wherever you are! We changed this so it is a "revolving meditation;" just like the earth is revolving! We are not all meditating at the same time this way, but the earth is getting a blast of Om Namaha Shivaya every hour for 20 minutes. That sounds like a good thing. You are invited to make a difference in ways that will touch the earth, humanity and all sentient beings.